Ben Wye Engineering Pruning Platform is a customized self propelled scissor lift platform made to customers specifications, it has hydraulic all wheel drive and all wheel steer, 20 degree tilt on two planes for level operation, extendable out riggers for extended reach and a 2.5m lift. Primarily made to prune apples it can also function for thinning, netting repair and picking. 26hp Kubota diesel power plant. 20 degree tilt on two planes for level adjustment. 1m outriggers both sides for extended room. Customized to suit individual needs. 1650mm wide wheel base, 2000mm between axles, 1300 to 2350mm platform width. 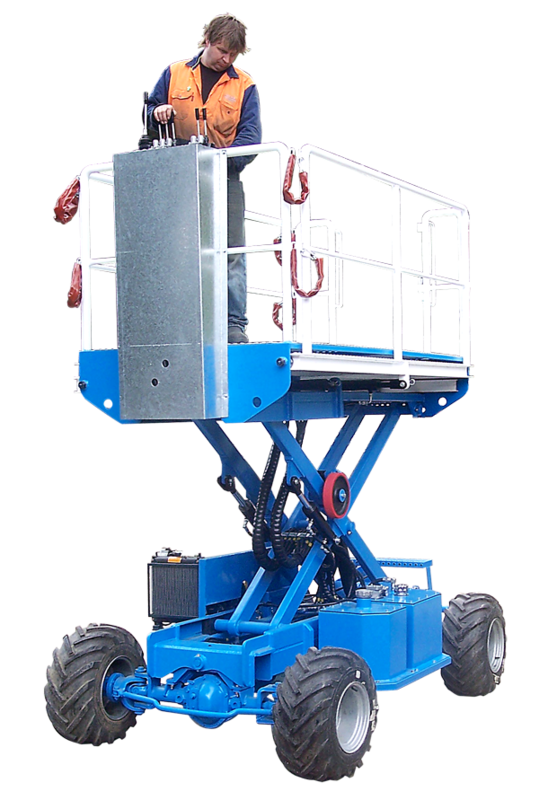 Scissor lift from 1150mm to 2500mm. 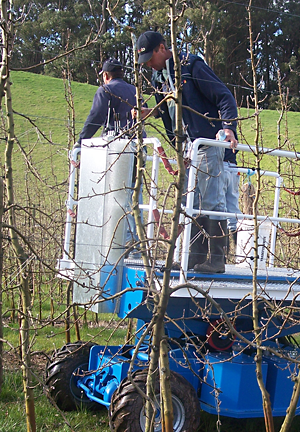 Ben Wye Pruning Platforms are Australian made by an Australian owned company.